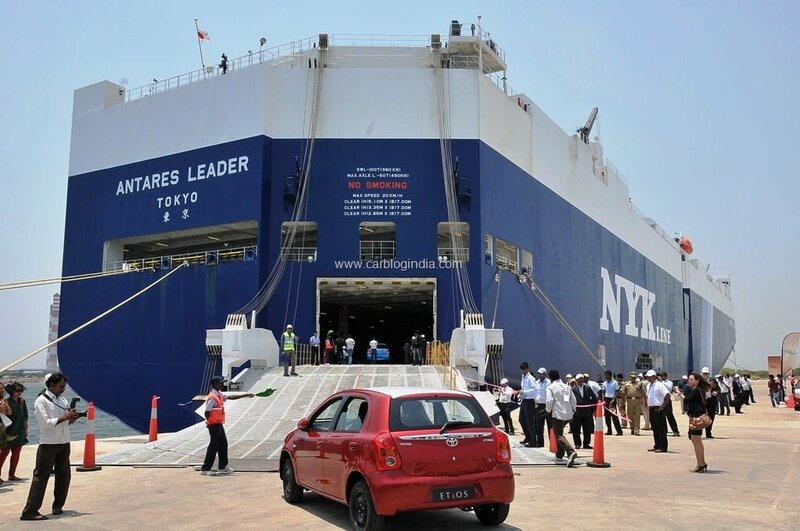 On 4th of April 2012, Toyota Kirloskar Motor Private Ltd. (TKM) announced the start of exports of its ‘World First, India First’- Toyota Etios Series to South Africa. 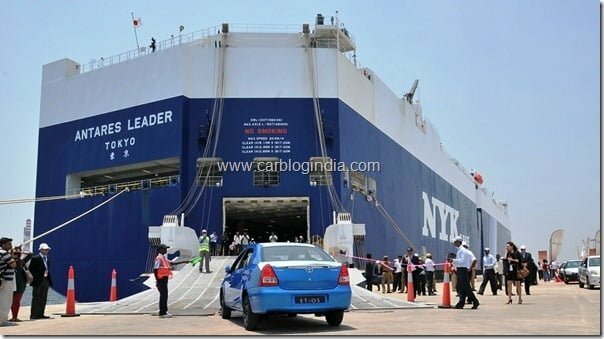 The first consignment of 247 units of the Toyota Etios series left Ennore Port near Chennai to cater to the demands of the South African market. The cars exported to South Africa include both Toyota Etios Sedan and Toyota Etios Liva Hatchback small cars. 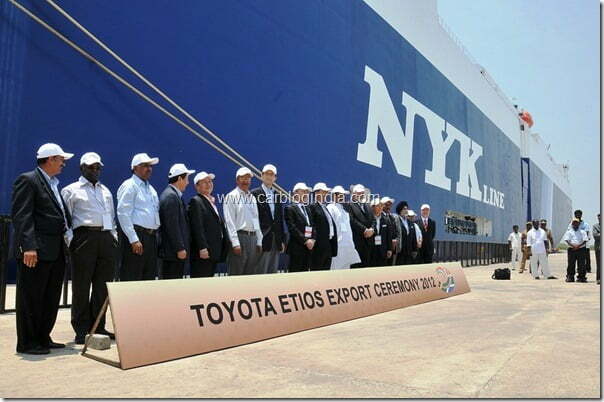 The export model of Etios are built on the same platform as Etios and Etios Liva, manufactured and sold in India. However, the export models are customized to suit the local requirements of South African markets. 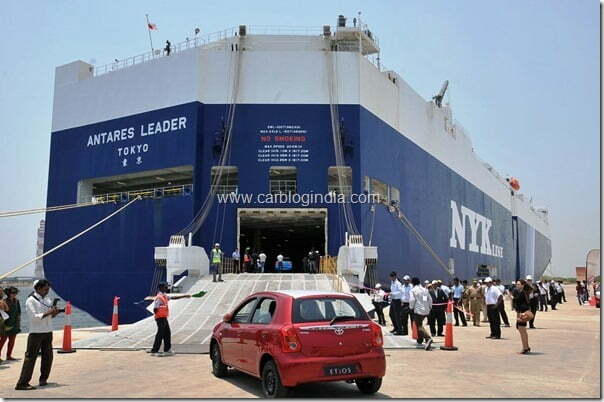 The company will export only the petrol variants of the Etios and the Liva. The Etios is currently manufactured in TKM’s second plant located in Bidadi industrial area on the outskirts of Bangalore. The export model will also be manufactured in the same plant. Present for the celebrations of the first ever Export Ceremony at Ennore Port were Mr. Vikram Kirloskar, Vice Chairman, Toyota Kirloskar Motor, Mr. Hiroshi Nakagawa, Managing Director, Toyota Kirloskar Motor, Mr. Vicente Socco, Executive Vice President, Toyota Motor Asia Pacific (TMAP), Mr. Takashi Sakai, Executive Vice President, Toyota South Africa Motors (TSAM) and other important governmental officials and dignitaries from Toyota. Toyota India has also signed start Cricketer Virat Kohli as its brand ambassador recently to promote the Etios and Etios Liva among youth as Virat is quite popular among Indian youth and has big fan following in India because of his performance in Indian cricket team. Stay tuned to us for more updates by signing up for our free email newsletter and like our official Facebook Page.